ARY’s widely popular game show, Jeeto Pakistan created a new turn in Pakistan’s TV industry by giving away prizes worth a total of PKR 1.5 crores in tonight’s episode. 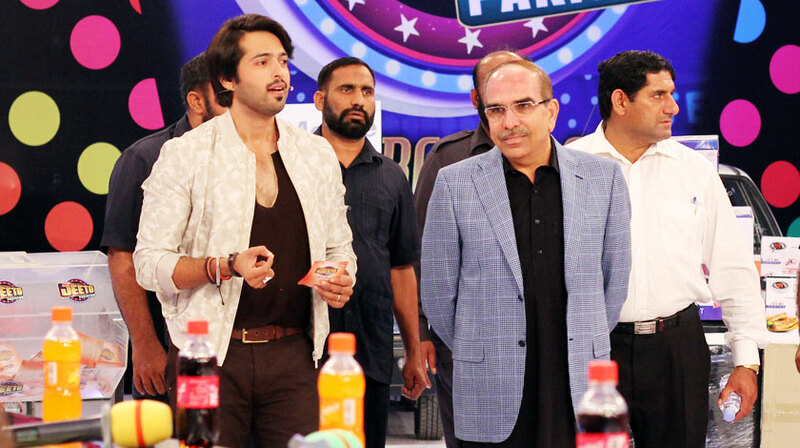 Hosted by ever popular actor/anchor/producer, Fahad Mustafa, the game show can now be formally declared as the biggest game show in Pakistan’s entertainment history. Today’s episode (June 7th, 2015), held in Lahore, Bahria Town, was doubly especial as famous Pakistani real estate magnate and philanthropist, Malik Riaz gave away 3 plots with a total worth of PKR 1 crore and 50 lacs. 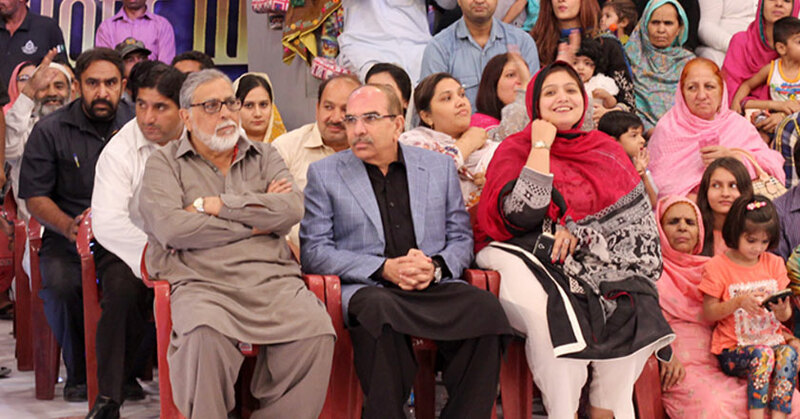 And that’s just the beginning; to keep up the spirit of Ramadan 2015, Malik Riaz announced that he will give away property worth of PKR 10 crores on the show, reports Jeeto Pakistan’s officials. Currently aired from ARY’s on every Friday and Sunday at 8 pm, the prize winning game show has taken over the nation with a frenzy of free gifts and prizes worth millions. Originally based on the concept of ‘Nilaam Ghar’, hosted by Tariq Aziz, Jeeto Pakistan started as a comeback from ARY to Aamir Liaquat’s Inaam Ghar but soon took over the limelight and became the biggest game show of Pakistan. The show, sponsored by myriads of brands, has managed to achieve highest ratings so far and judging by tonight’s episode, it is just the beginning of another successful Ramadan transmission.